Learning about stock market trading is easy but finding winning trading strategies takes a lot of practice. So, you need to backtest and practice a lot before just hop into trading with your trading strategies that suit you. You can use paper trading or virtual trading platform to do that. The only way to find winning trading strategies is to trade more and more until that work for you. Moreover, you need to follow your trade setup and stick to it. You may be wondering why some trading plans work for others, might not good for you. Perhaps because of different personalities and individual characteristics. So, you need to figure out the trading strategies that suits your personality. Here is the list of trading strategies that might help you to find winning trade. Scalping trading strategies are one of the fastest ways for you to make money from the stock markets. Instead of one big shot, scalping involves many small trades. Basically, you will be trading very fast while scalping to book loss or profits within a fraction of minutes. However, while using scalping trading strategies, make sure you backtest it to ensure you are on the right path and suits your trading style. You can use day trading strategies that involve buying and selling of stocks for a day. By doing so, you hope that the price of the stocks moves in your desired direction. If you do day trading, all you need is to square off all your positions before the market closed. However, if you met your target within a few minutes of trade, then you can book profit as well. In day trading, you are not supposed to hold the stocks for the next day to avoid overnight risks. Your goal is to quickly get in and out of any particular stock for a profit on an intra-day basis. Swing trading lets you focus on churning small profits by riding in short-term trends. Despite smaller gains, you may earn great if you do it consistently. Remember the mantra of success in trading is to ride with the trend and cut your losses very quickly. If the stock is trending, then you can trail your stop loss as well to avoid any undue loss. However, I always prefer to book profits rather than stopped out. If you are making 5% to 10% in a week, just book profit and enjoy your day. 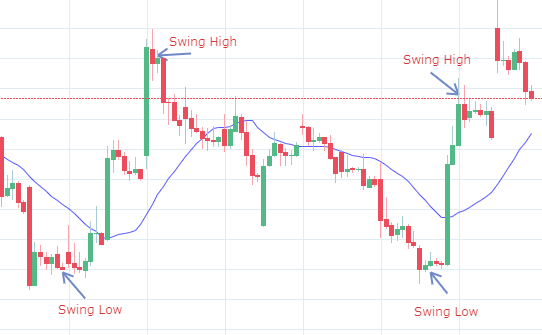 Positional trading is almost similar to swing trading, however with a longer time horizon. 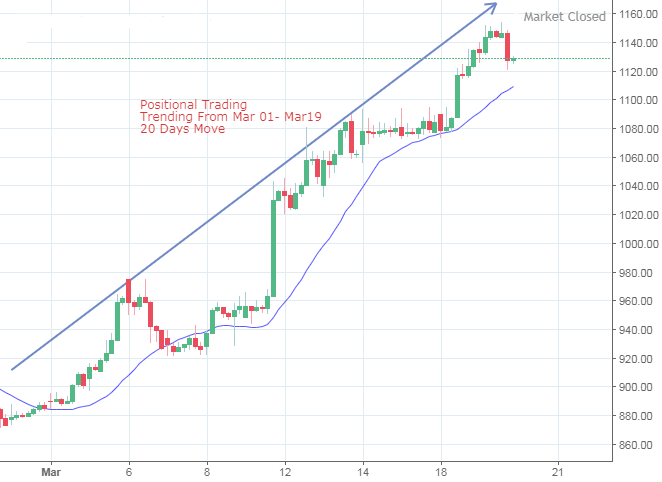 In positional trading strategies, you may hold stocks for a time period anywhere from one day to several weeks or months. You need to identify stocks where the technical trends suggest a possible large movement in price is likely to occur. To do that, you can use the moving average to find out the golden and death crossover trading strategies. As a positional trader, you need to have patience and of course, discipline to get success on your trades. You have to remain calm and don’t get panicked if things look messy or short-term moves. Range breakout trading strategies help you to find potential trading opportunities by using technical analysis. 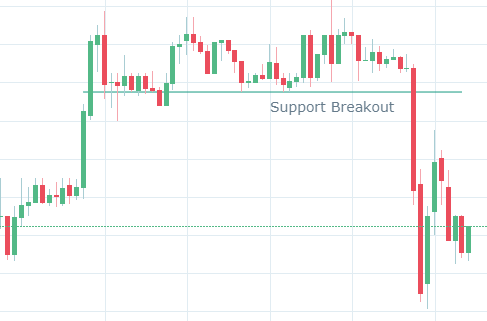 You can use price action to find possible support and resistance over a period of time. It lets you identify situations where the price of an asset is likely to spurt over a short period of time. So, you need to figure out the key levels of support and resistance and place orders when the assets price passes through these levels. 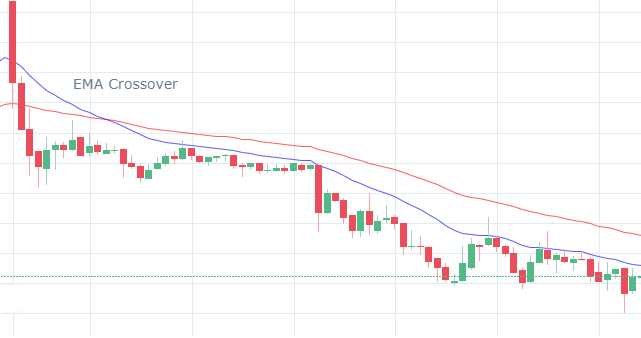 For instance, long positions are taken when the price of an asset breaks through a level of resistance. Moreover, you may short when the stock price breaks the support level. Hedging trading tricks are mainly used to reduce or level your risk by making trades that are opposite to each other. You can use it to go long and short on the same pair in the same account. So, if one of your trading position losing value then by hedging you may gain value from the other. It provides you with one kind of insurance to your portfolio by protecting value. Having said that, you can use options like call or put to hedge your position. Moreover, you can also use futures to do that. Suppose you have bought 1000 shares of XYZ. At the same time, you can either buy a put option or sell call option of XYZ to hedge. So, if in case XYZ stock price goes down, then you’ll make money from your put and call option. Another way to hedge your position is to short XYZ futures simultaneously. Either way, you’ll be able to save and protect your fund value by using hedging technique. Many traders or investors make trading or investing decisions based on news announcements or rumours. You may notice that economics reports and other news can have a short-lived that affect particular markets or stocks. You need to keep your ear open to hear anything and trade accordingly. Moreover, to profit from news-based trading, you must predict how a stock will respond to particular news or events. So, you must act very fast and catch up on the early trends. As the old saying “Buy on rumour and Sell on the news” makes you win or loss. BTST (Buy Today Sell Tomorrow) or STBT (Sell Today Buy Tomorrow) trading strategies are mainly used by traders. It is one of the riskiest trading tricks as you never know what will be the markets the next day. Moreover, you need to understand the trading settlement cycle of T+2 days. You need to be extra careful while taking any BTST or STBT position. Any wrong prediction of the stock price movement can trap you and eventually you lose. Trading in the stock market requires skills and knowledge. So, if you are a beginner in the stock market then understand all the aspects of the share markets before you trade. If I miss anything, then do share your thoughts in the comments section. What is your trading strategy? Share your views with us. Like this post, then share it on your social networks.